Atelier Vie is pleased to announce the inaugural release of Louisiana Single Malt, a whiskey distilled solely from malted barley and aged in oak barrels. Louisiana Single Malt is distilled from malted barley during a single distilling season at Atelier Vie. The new make whiskey is aged in second use oak barrels. This inaugural release was aged for one year and four months in 5 gallon barrels. Only pure water is used to reduce Louisiana Single Malt from barrel proof to bottling strength. Louisiana Single Malt has no additives and has not been chill filtered. “One of the interesting things about malted barley, compared to other grains typically used for whiskey, is that there is a tremendous variety available,” said Jedd Haas, President of Atelier Vie. “This variety includes numerous types of malt which have been dried, toasted, smoked, and given other treatments to create different flavors. Louisiana Single Malt incorporates several of these different malts, which creates the complex flavor of the whiskey. Atelier Vie is proud to distill the first single malt whiskey in Louisiana and this new release is a great continuation of our Louisiana whiskey tradition. We look forward to more releases of this whiskey in the future,” Haas continued. While the words used to describe many types of whiskey are highly regulated by Federal law, the term Single Malt does not yet have any legal meaning in the United States. However, in general use in the United States, and as used by Atelier Vie, the term “single” means that the whiskey was distilled at a single distillery; and “malt” means that only malted barley was used to make the whiskey. Using only malted barley is one of the most expensive ways to make whiskey, as the specialty malts used by Atelier Vie are costly. Louisiana Single Malt is bottled in 750ml at 47% alcohol by volume (94 proof). The retail price at the distillery is $75, which includes all of our notoriously high sales taxes. Limited quanties of Louisiana Single Malt are available for wholesale purchase from our Louisiana distributor, International Wine and Spirits. Atelier Vie will hold a special tasting on Friday, May 3rd, from 6pm-8pm, as part of the “First Friday” series of events at Art Egg Studios, where the distillery is located. First Friday includes art openings and open studio events with other Art Egg inmates. 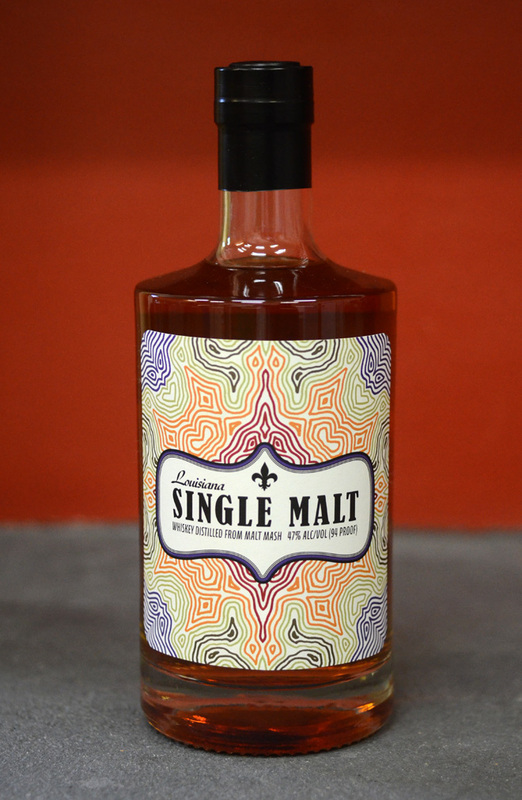 Louisiana Single Malt will be available during Atelier Vie’s regular Bottle Sales Hours. The distillery is open for tastings and discussion of the distillation process every weekend from 10-2 on both Saturday and Sunday. There is no charge to visit the distillery and the company’s full line of spirits is available for retail purchase during these weekend hours. Visitors should see the company web site for directions and additional details. In addition to Louisiana Single Malt, Atelie Vie also distills Calio Rum, made solely from Louisiana molasses; Riz, a barrel-aged Louisiana rice whiskey; and two expressions of Orphan Street Brandy, which is distilled from orphan lots of wine. The Atelier Vie portfolio also includes Euphrosine Gin #9, a flavorful American gin; Euphrosine Gin #9 Barrel-Finished Reserve, which is aged in American whiskey barrels; Toulouse Green, Absinthe Verte, a traditional-style absinthe based in part on French recipes from the 1800s and distilled with Louisiana wormwood; and Toulouse Red, Absinthe Rouge, a “new school” American absinthe colored red with hibiscus and excellent for cocktail mixing. Atelier Vie also bottles Buck 25 Vodka; an overproof cane vodka designed for creative mixologists to craft their own spirits flavors through rapid infusion. Atelier Vie creates flavorful new spirits in one of the greatest drinking cities of the world. “Liquor is art you can drink.” Atelier Vie was founded in 2011 by Jedd Haas. Our story begins with a visit to the distillery this past weekend from the German Matt Damon and his entourage. This doppelgänger had startling verisimilitude and thus a nickname was born. Or reborn, as our man had heard that appellation once or twice before! During the course of the conversation, I mentioned a recent visitor to the distillery from Bavaria, one Benedikt K. Was it any surprise that an email from Bavaria arrived the following day? Benedikt visited recently and brought some Real New Orleans Spirits back to Germany. 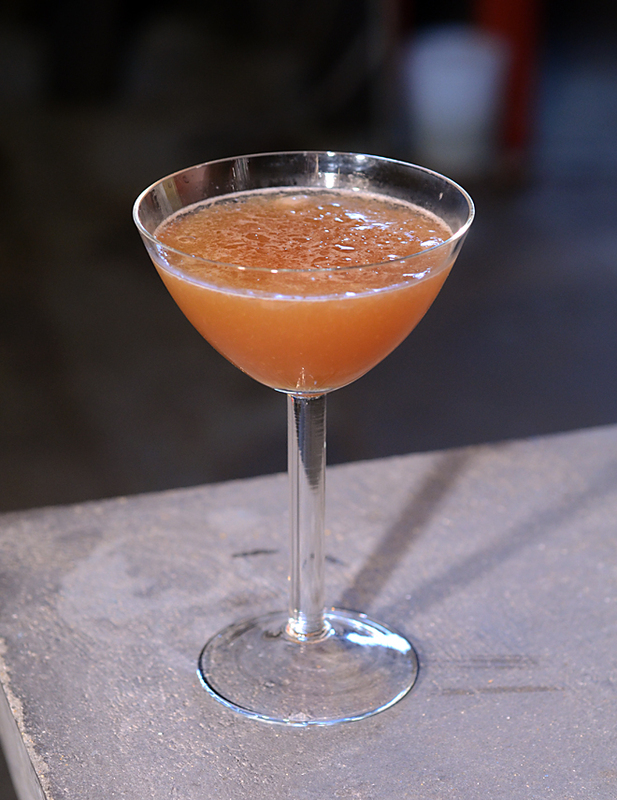 With thoughts of New Orleans in his head and Calio Rum on hand, Benedikt’s recipe comes to us from the Black Forest. Note: Measurements have been translated, with the original in parentheses for any metric system mixologists. Before we begin this magnificent recipe, we must dispel any notion that this drink has anything to do with a minor blues cover band from overseas which is said to performing at Quintfest this year. No, this cocktail is not about you. Rather, the title refers to the key ingredient: brown sugar, available at all of the places where sugar is sold. You’ll need a cocktail tin or shaker for this one. Fill the shaker or a glass with a half dozen ice cubes, then add all ingredients. Close the shaker or cover your glass with the tin and shake vigorously for 30 seconds or so. Your tin or shaker should be ice cold by the time you’re done. You can additionally pour back and forth between tin and glass a few times to further aerate the drink. Strain into your serving glass, using the coarse side of the hawthorn strainer, so that small chips of ice flow into the glass with the cocktail. Combine 1/3 cup each of water and dark brown sugar in a small pan. Heat until just simmering, but do not boil. Cool and transfer to a plastic squeeze bottle or other container of your choice. January 15, 2019 — New Orleans. 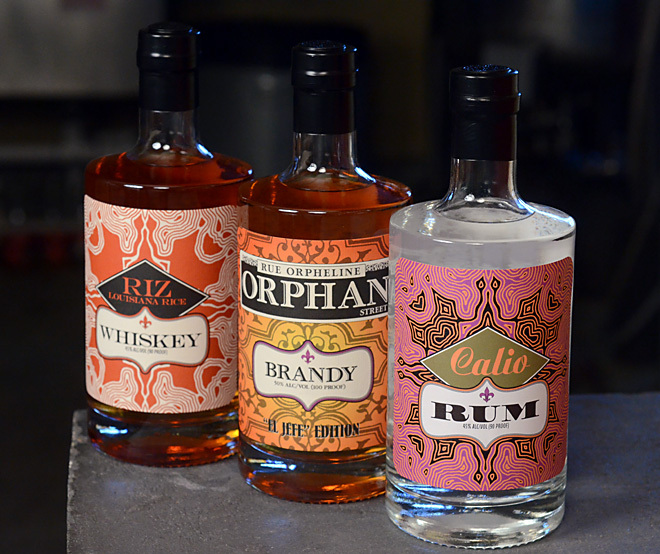 Atelier Vie announces three new releases: Riz, an aged rice whiskey; a special “El Jefe” edition of Orphan Street Brandy; and new brand Calio Rum. Calio Rum is a pot distilled clear rum made entirely from Louisiana molasses. No additional sugar is added to Calio, either during fermentation, or after distillation. No coloring or flavoring is added. Calio has not been filtered, to ensure no flavor is removed. “The result? Calio is full of deep molasses flavor. For people who want to taste the true terroir of Louisiana molasses, Calio will be ideal,” said Jedd Haas, President of Atelier Vie. Calio Rum is bottled in 750ml at 90 proof. The retail price at the distillery is $35, which includes all of our notoriously high sales taxes. Calio Rum is also in stock for wholesale purchase from our Louisiana distributor, International Wine and Spirits. Riz, the original Louisiana Rice Whiskey, was first released in 2013 as a clear whiskey; the first aged edition of Riz followed in 2014. Today, Atelier Vie releases a bottling of Riz distilled in 2017 and aged in small oak barrels for one year and one month. “Interest in rice whiskey has been increasing in the United States over the past five years. Several new distilleries around the country have released rice whiskies; and more releases have come from Japan. Atelier Vie is proud to distill not only the original Louisiana rice whiskey, but also the first whiskey overall in Louisiana since Prohibition. This new release of Riz is a great continuation of our Louisiana whiskey tradition,” said Jedd Haas, President of Atelier Vie. This edition of Riz is bottled in 750ml, at 90 proof. Retail price at the distillery is $65, including taxes. Purchases at the distillery are limited to one bottle per customer. Orphan Street Brandy was first released in 2016. Since then there has been a second release in 2018. These previous releases of Orphan Street Brandy have been at 80 proof in 200ml bottles. Now in 2019, Atelier Vie releases a full size bottle at a higher proof. This new “El Jefe” edition of Orphan Street Brandy comes in a 750ml bottle at 100 proof and has been aged two years. “Our grape brandy is aged for two years, as required to call it ‘brandy.’ During that time, we lose the ‘angel’s share’ to evaporation. In the small barrels we use for brandy, this loss is severe after two years. 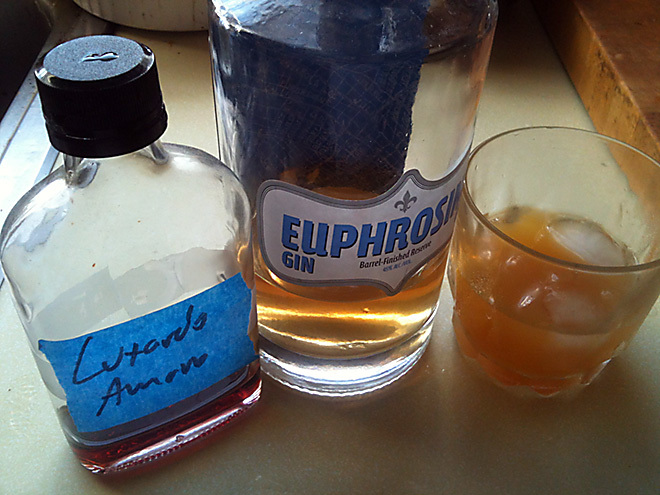 But this loss results in a wonderfully concentrated spirit flavor. The result is a special bottling from a single barrel. 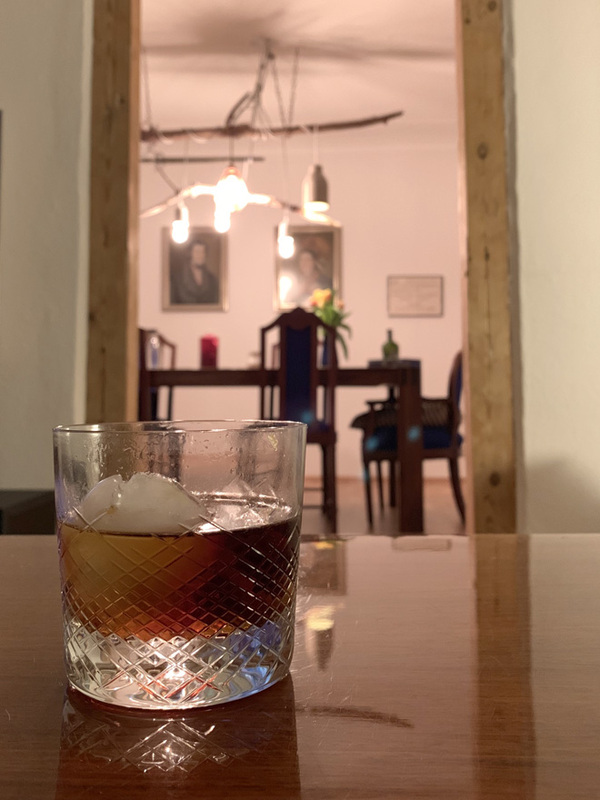 ‘El Jefe’ stems from a nickname given to me in years past, meaning ‘The Boss.’ This brandy is for those who have paid the cost to be the boss,” said Jedd Haas, President of Atelier Vie. The “El Jefe” edition of Orphan Street Brandy is limited to 18 hand-numbered bottles and is $100 plus sales taxes at the distillery. Purchases at the distillery are limited to one bottle per customer and prospective customers may be asked to testify to the veracity of their boss status to qualify for purchase of this bottle. Atelier Vie will hold a special tasting on Friday, February 1st, from 6pm-8pm, as part of the “First Friday” series of events at Art Egg Studios, where the distillery is located. First Friday includes art openings and open studio events with other Art Egg inmates. All of the new releases will be available during Atelier Vie’s regular Bottle Sales Hours. The distillery is open for tastings and discussion of the distillation process every weekend from 10-2 on both Saturday and Sunday. There is no charge to visit the distillery and the company’s full line of spirits is available for retail purchase during these weekend hours. Visitors should see the company web site for directions and additional details. In addition to Riz, Orphan Street Brandy, and Calio Rum, Atelier Vie distills Euphrosine Gin #9, a flavorful American gin; and also distills a barrel-aged version of Euphrosine, called Barrel-Finished Reserve, which is aged in American whiskey barrels. The Atelier Vie line-up also includes Toulouse Green, Absinthe Verte, a traditional-style absinthe based in part on French recipes from the 1800s and distilled with Louisiana wormwood; and Toulouse Red, Absinthe Rouge, a “new school” American absinthe colored red with hibiscus and excellent for cocktail mixing. Atelier Vie also bottles Buck 25 Vodka; an overproof cane vodka designed for creative mixologists to craft their own spirits flavors through rapid infusion. It appears this entertaining video review of Toulouse Green has been lurking around for over a year before we found it through happenstance. Serendipity at work, once again. Goth Girl Adrienne, also known as LigeiaResurrected, puts Toulouse Green in her “top 5” absinthes (wowza!) although sadly not at the very top. She also mentions her perception of an “apple peel kind of aftertaste” in Toulouse Green. Did you know that out in the “desert” of Central Washington, “tumbleweeds will set themselves on fire”? Dangerous stuff, we hereby consider ourselves warned. Ahem. 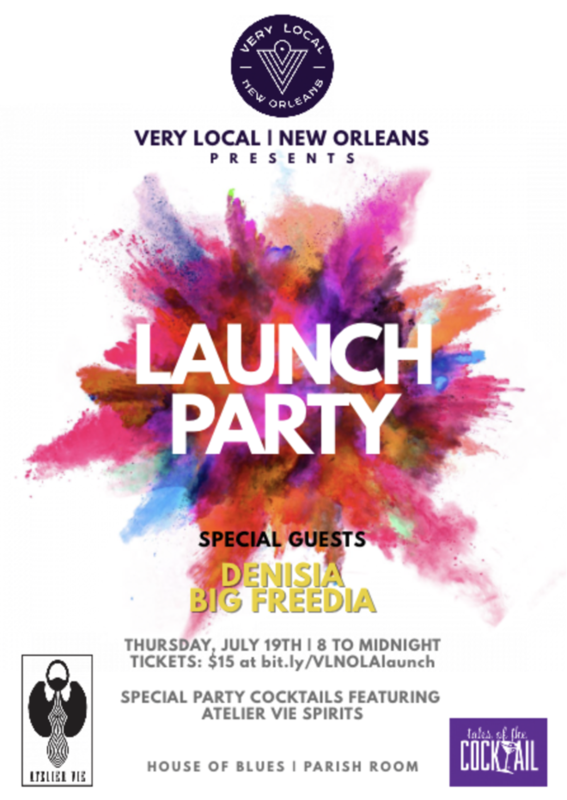 Contrary to what is stated in the video, we are located in the city of New Orleans and do not sell an Absinthe Blanche. Also, we recommend trying both Toulouse Green and Toulouse Red without using any sugar (just the water from the fountain). It’s all good; Goth Girl Adrienne is welcome to visit for a tasting on her next pilgrimage to “the Absinthe Capital of the United States,” New Orleans. I assure you, we will be open for visits and bottle sales. However, Sunday hours may be subject to early cutoff (around 1:30) due to the Saints game. This weekend, our usual schedule of 10-2 for Bottle Sales Hours has been adjusted. Our hours on Saturday, 12/15/2018 will be according to our normal schedule, from 10-2 for visits, tastings, and bottle purchases. 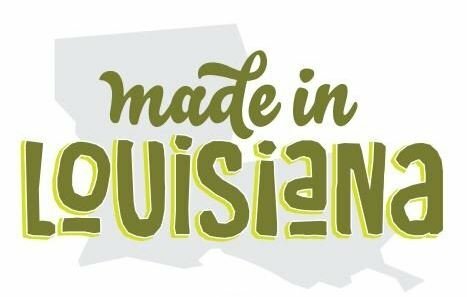 However, on Sunday, 12/16/2018, join us at the Southern Food and Beverage Museum for Made in Louisiana, a celebration of food, drink, and other culinary products from throughout the state. 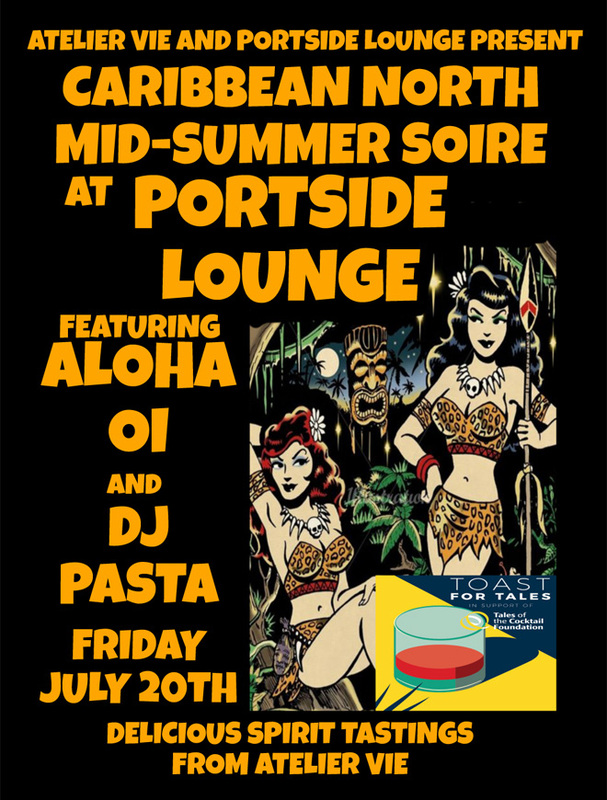 We’ve participated in this event before, and it’s a guaranteed good time! Time: 12:30 – 4:30 p.m.
During these torrid days of summer, minor details can escape notice due to a focus on more essential quests for such necessities as air conditioning and water. For some such reason, our media mentions have piled up. So let’s get down to press hits from a variety of sources. 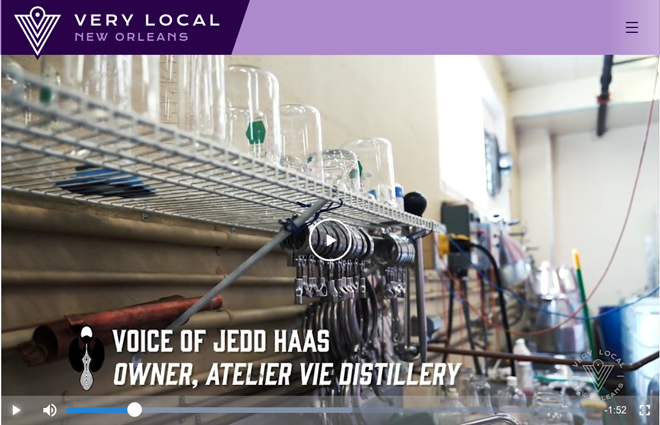 Most recently, newly-launched “locals-only” site Very Local New Orleans profiled Atelier Vie in this video montage and article showing the distillery and discussing our outlook on spirits production. Additionally, there’s a great visualization at the end of the video showing how to make our Laranjinha cocktail – a great choice for hot weather! Meanwhile, in the virtual pages of Chowhound, David Watsky takes a deep dive into How Once-Illegal Absinthe Became a New Orleans Staple. Watsky delves into the origins of absinthe and how it became popular in the late 1800s. He also provides a counterbalance to some of the more ridiculous claims about absinthe, by providing an opportunity for a rebuttal to these frivolous stories. The article also includes an interview with our friend Paul Gustings and touches on the Galerie d’Absinthe at the Southern Food and Beverage Museum. 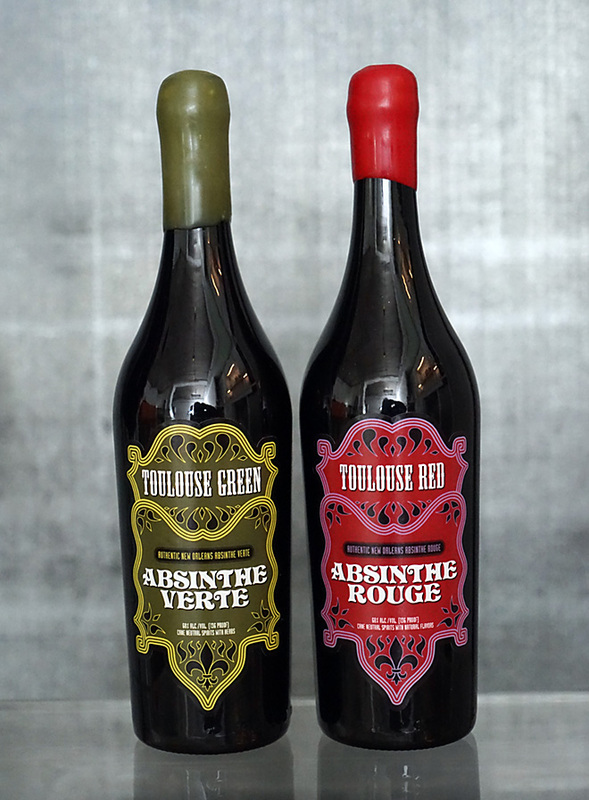 Toulouse Red and Toulouse Green, available widely and featured in the Galerie d’Absinthe as well! Expanding our international relations, we enjoyed a visit from Tom and Becky from The Gin Blog, a UK site dedicated to – you guessed it – gin, in its many permutations. Tom and Becky kicked off their World Tour of gin distilleries with a visit to Atelier Vie, and wrote a nice article about their visit. 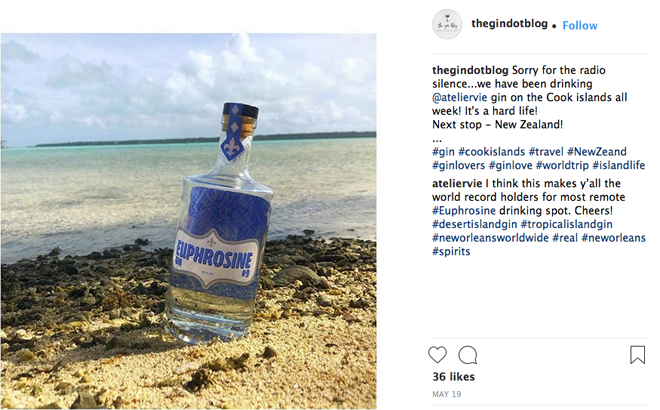 But the best was yet to come, as they brought a bottle of Euphrosine Gin #9 with them as they continued their journey. That resulted in this shot of their well-traveled bottle resting on the beach of one of the Cook Islands. Finally, Atelier Vie is profiled in GoNola’s article on the aptly named Maker’s Mile, where a variety of local food and beverage businesses have sprouted up in recent years.